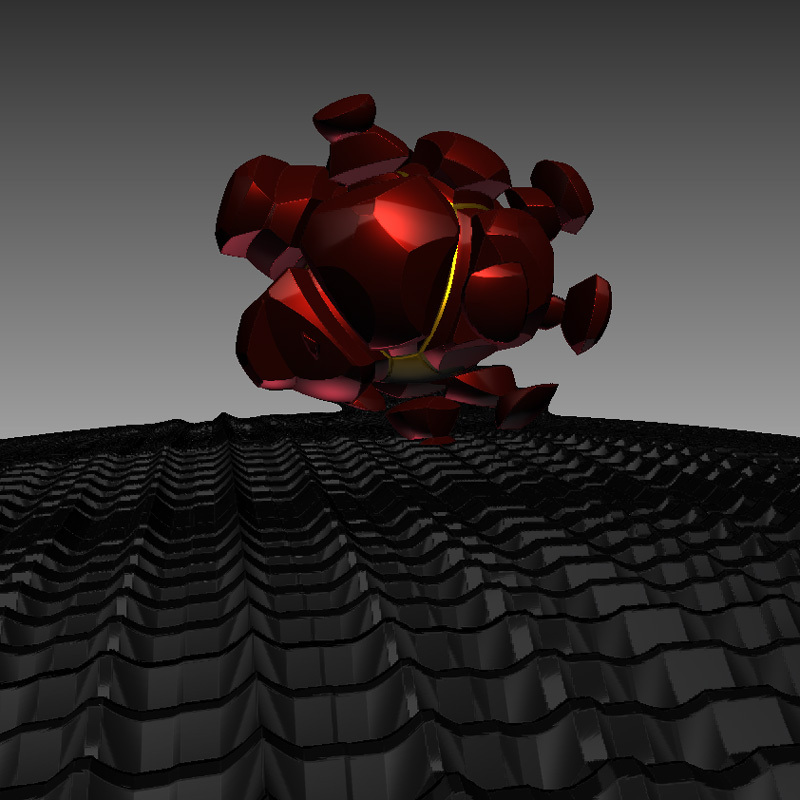 ray marching (with THREE.js) – Youpi ! Ray marching is a technique used to render complex shapes and lightings, it’s been around for years but got some huge momentum in the past 5 years. I had some spare time and decided to give it a spin. the latter being the most interesting to get started as it’s part of the stackgl project and has support for glslify (a modular set of shader utilities), this is what I used to understand better how things work. for each “pixel” of the screen, a “ray” is sent from the camera through the 3d scene and returns the color for that pixel. so simple as it seems, it displays some already complex behaviours such as shadow casting, reflections, light bouncing and not fog but rather the Fresnel effect of the reflections. 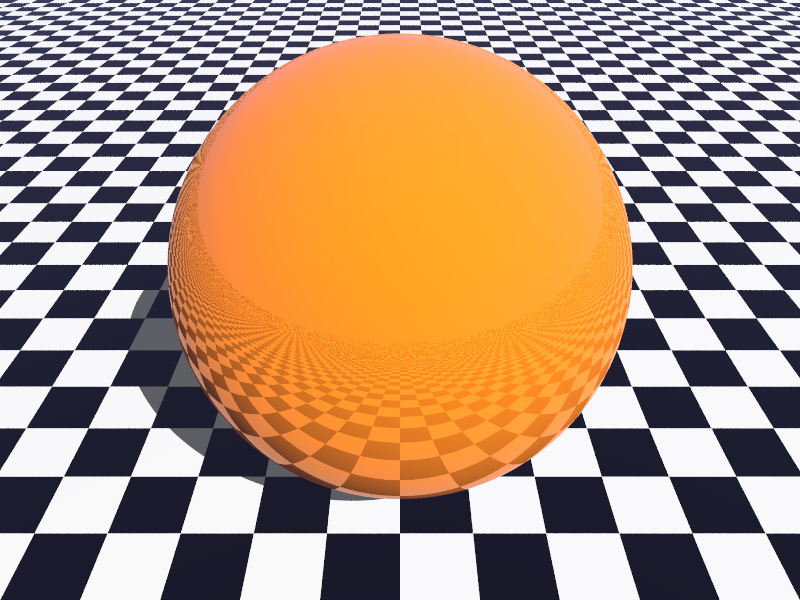 ray tracing is a well known and well documented technique. it’s also computationally expensive, suited for pre-rendered images rather than real-time rendering (even though more and more attempts are made to go towards real-time in games and architecture visualization). Ray Marching is a variation of the ray tracing ; instead of evaluating if a “ray” hits the surface of a “model” of the “scene” in the direction of the ray and at a linear step size, the “scene” will return the shortest distance to the “model” in any direction and use this distance as the “step size” along the “ray”. 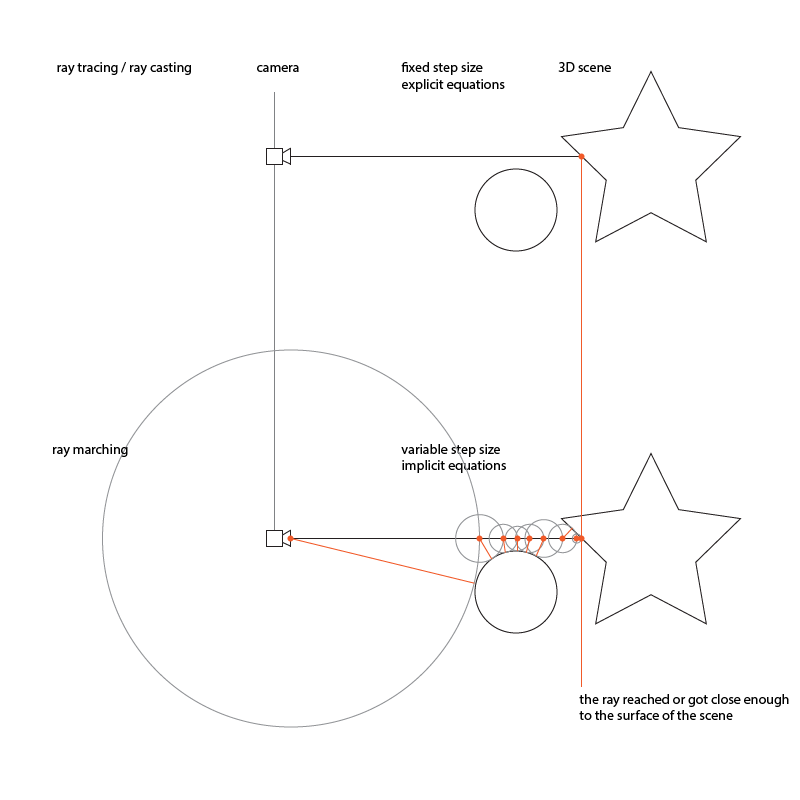 the “airquotes” around scene and model, are there to emphasize the fact that there is no geometry involved but rather a mathematical description of the geometry. indeed, as the only goal of the signed distance function (or SDF the function that tells us if and at which distance the ray has reached the surface of something in the scene) is to return the shortest distance to the model being computed, the only information we need is therefore a distance ; a float. as we only need a distance, using a mathematical description of our scene is the way to go. where pos is the position along the ray & radius the radius of the sphere. the main difference between ray casting and ray marching, is the fact that ray casting uses explicit equations while ray marching uses implicit equations to render the scene. in other words, when rendering a scene, a ray caster will find the exact intersection point between the ray being casted and the explicit equation of the geometry while ray marching uses the steps because the equations used to evaluate the boundaries of the geometry can not be evaluated in one step like collisions. with ray marching, we evaluate the distance using the SDF to get to a point where the distance is close to zero while with ray tracing, we know where this point is (it is the intersection between the ray and the shape). also a variable step size is good to for lower steps count but when the ray reaches the borders, it tend to get lost, for that case it’s better to use a fixed size and play with the threshold. 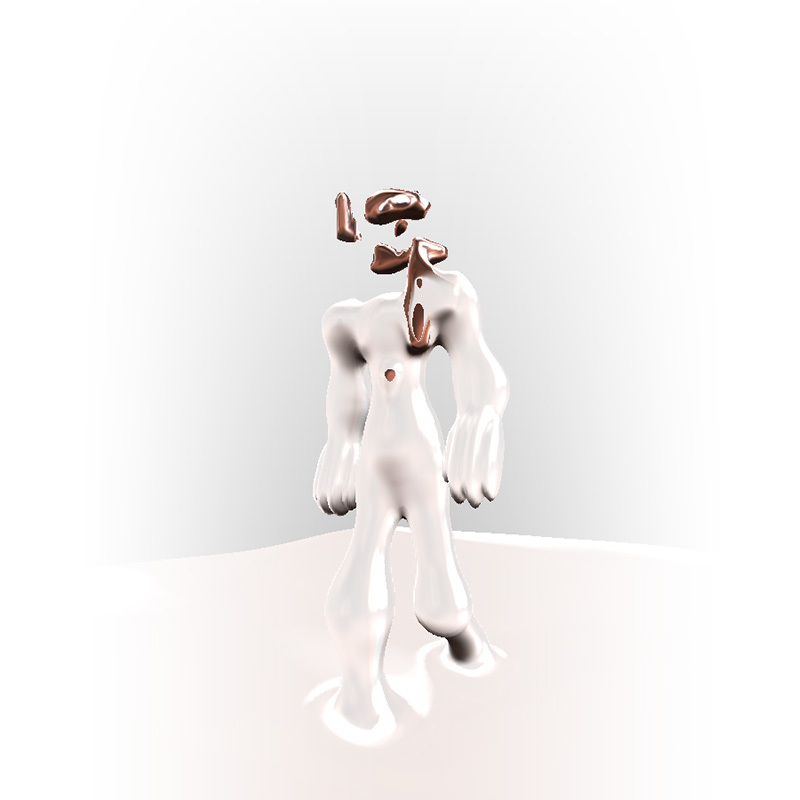 the downside of ray marching lies in the complexity of the SDF as it needs to be computed at each step, the downside of ray casting lies in the complexity of handling numerous intersection tests. of course, there are ways to bail out early and spare computations, it’s very frequent in ray tracing to test the bounding volumes first and cast the ray only if there is something in the path. //a sphere of radius 1.
of course, spheres are boring and there are plenty of other primitives to play with, Íñgo Quílez‘ distance functions became the defacto reference, note that he did a handy scene on shadertoy that displays all the shapes at once (+lights, shadows, AO, reflections etc.). the methods below describe a sphere and a box with rounded corners (I’ve added a vec3 center to position the object in space). if you understood the idea behind ray marching, you remember that we’re only interested in retrieving a distance – a float – each time we move along the ray. things gets really interesting when you start combining different shapes ; two or more shapes will be more or less close to the point in space being evaluated and that’s where we can decide how to combine them. the generic name for this kind of operations is Constructive Solid Geometry (CSG) and consists in performing boolean operations on geometric primitives to build complex shapes. these are the basic operations: union, subtraction and intersection. there are other ways to blend objects together, the most useful is described here. the platforms I mentioned at the beginning of the article are basically gold mines to find advanced techniques, with brillant people sharing brillant tricks. Pity we can’t write distance estimators that take ray direction into account, isn’t it. I checked your blog, seems you’re quite into astual art those days, that’s awesome! Hey Nicholas, clicked the link then recognized the last name… Nice work, the walker especially. Like a Matthew Barney net art piece. Hope all is well with you! Why don’t you perform the calculation in the vertex-shader and then share the color of each vertex (of each triangle) in a varying to the fragment-shader ? I think that your mesh is already dense enough to get a very good result on the screen but it may works 50-100x faster (corresponding to the difference between the amount of triangles and the amount of pixels contained in every triangles) if you do the calculation in the vertex-shader. @tlecoz interesting idea, maybe if you calculate depth in VS instead, and perform some a-priori sharp cuts in FS… that would probably make connection areas (such as where his feet sink into the ground) very tricky to render. in any case it should be possible to use “rough” depth from VS to start the ray closer to actual geometry in FS and thus save some extra time, at the cost of bypassing some small objects. I think the problem is that when evaluating distance functions, you’re not working with polygonal meshes. 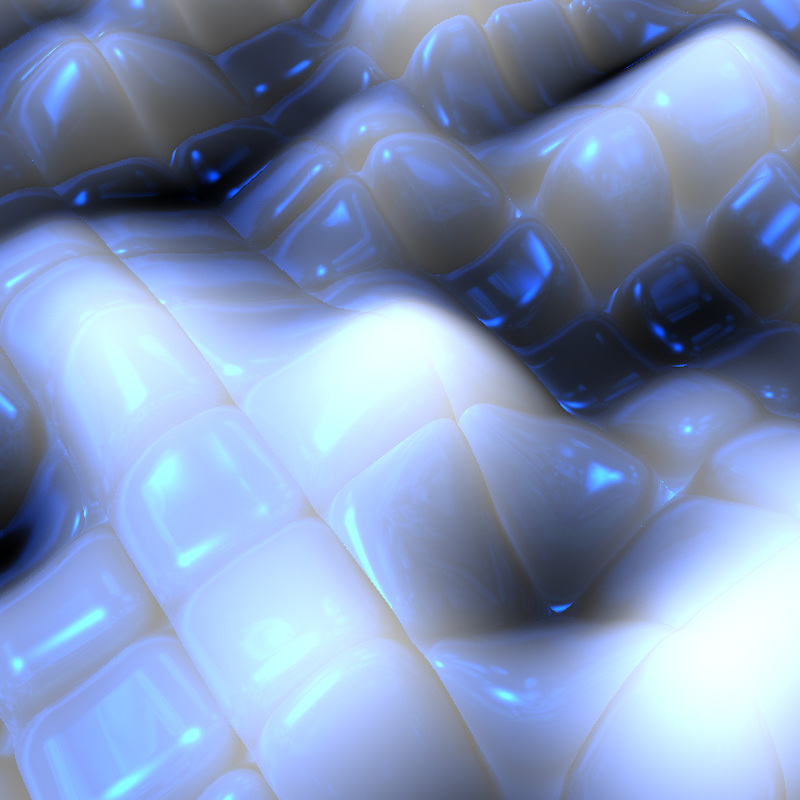 The picture is rendered on a screen quad (two triangles covering the entire screen and the final image is then rendered in the fragment shader by ray marching each pixel. Might have some inaccuracies/wrong terms there but that’s the general idea. Your blog and this project are fantastic! 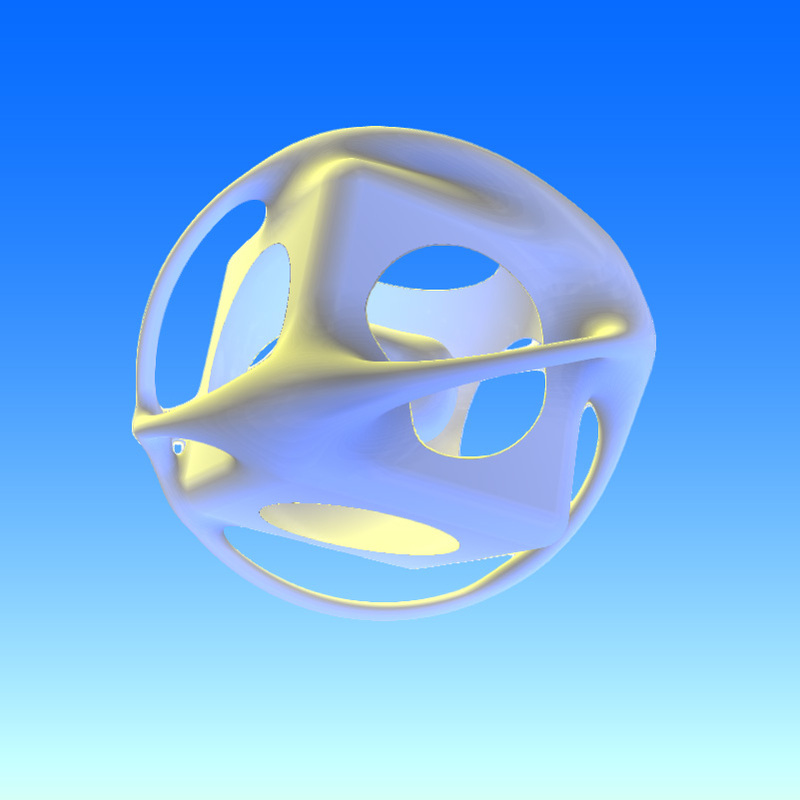 I was really amazed with Shadertoy, but I had no idea about what was going on with Ray marching – that is until I stumbled upon your blog and repo – great job! So, now I am wondering about how to modify the shaders to produce a stereoscopic version that could be used for mobile VR? – like in google cardboard. I’ve been looking at Mozilla’s A-frame (it’s webVR using Three.js) and I’d like to try to create stereoscopic Ray Marching shaders that could be used with an a-frame scene.